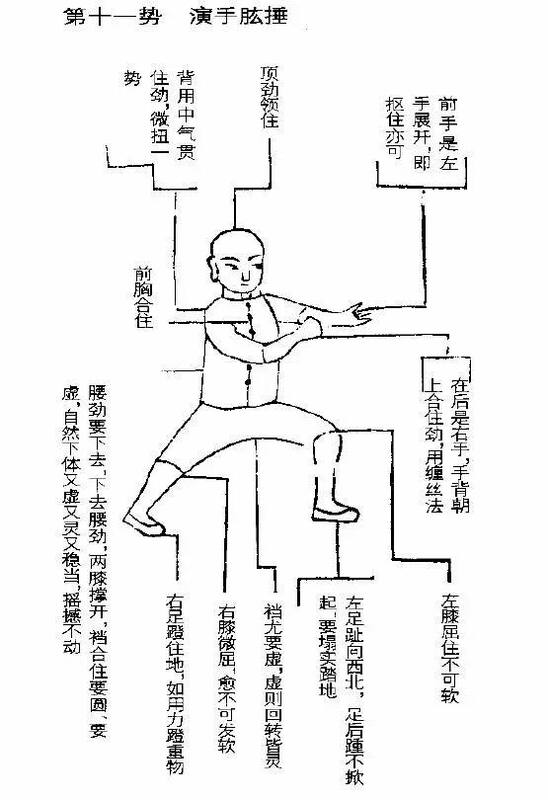 It is easy for beginners of Taijiquan to exhibit two extremes: one extreme is to be stiff and inflexible, the other extreme is to be flaccid and weak. Neither of those conform to the essence of Taijiquan, in that movement and form are "light but not floating", "heavy but not stiff", fulfilling the underlying Taijiquan principle of duality, of equal display of softness and hardness; expounding the popular Taijiquan adage "mutual manifestation of pliant softness and heavy strength". Taijiquan cannot be achieved through envy or subterfuge. It takes its natural course, following the gradual order of Yin-Yang changes and the philosophy of the ”middle path". The small dao enables a healthy body; the medium dao enables self-defence capabilities; the high dao disciplines the temperament and cultivates the moral character. Ultimately Taijiquan is not about its appearance but its content. Without expressing the content the practice is incomplete and has not reached its final goal. Successful practice requires the understanding of core principles in order to bring about its content. Realising the existence of content enables deeper study. However, appearance and content are dual facets of Taijiquan. Appearance without content is flawed, but then expression is required to bring forth, exhibit and validate the content. The appearance can be viewed as the path that leads to a destination. One needs the path to go forward, but one must not remain on the path. A boat takes one across the water to the other side, but one needs to step off the boat on the other side. Often people do not realise this and devote time and effort to maintain appearance rather than expressing Taijiquan's content. Being able to do a form beautifully does not necessarily mean one is exhibiting its content and character. 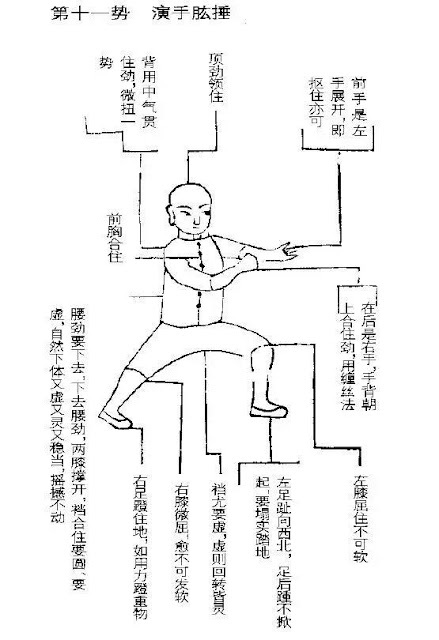 Taijiquan movements without its content is not Taijiquan. Training the martial arts "way"
Training "Quan" (martial arts skill) is about undertaking the "Dao" (the Way); hence the existence and traditional emphasis on "Quan Dao" - the Martial Arts Way. "Quan Dao" is a formula for practice, a blueprint for self-discipline, self-development and self-examination. It is through the pursuit of physical, mental and spiritual perfection that the ultimate goal "Shen Ming" (Enlightenment) may be achieved. 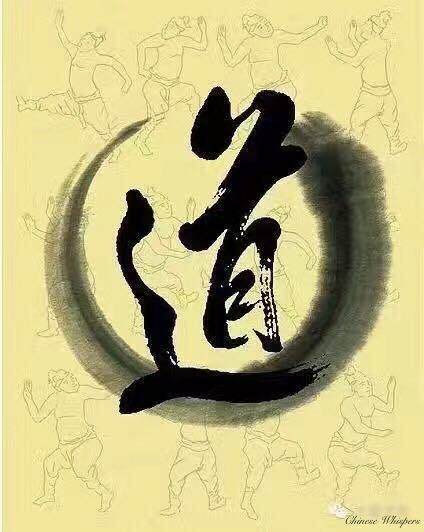 The "Dao" must be unadulterated, and understood and realised, so t...hat the "Quan" will have etiquette，ethical and structural order and form. First know what is "Quan Dao". It is the doctrine of the "Golden Mean" and follows the "Ideal Way" - the doctrine that constitutes balanced practice and one that encompasses cultivation. It seeks an ideal physical state as well as mental and psychological equilibrium. Its quintessential element is Quietness. It is the physical and mental quietness that ensue from training and cultivation. For quietness heightens awareness, enables clarity and provides insight, and leads to gradual enlightenment. It is not ordinary nor is it easy. The study of "Quan" is a dynamic spiritual journey. Using the discipline of external training to nurture and develop inner calm and growth, to temper the character and to reap the intangible but real benefit of "Quan" practice. 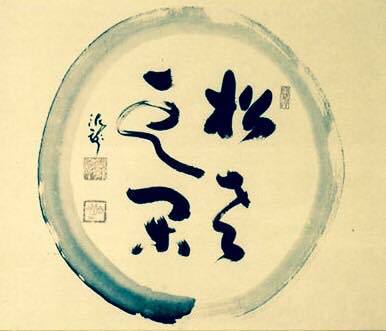 In the process of long term practice, it is said that the formation of the "Dao" "begins in the heart and goes out to the outside world, and then from the outside world back to the heart" - that is, advancing from simple to complex, then from complexity return to simplicity, which become interchangeable.